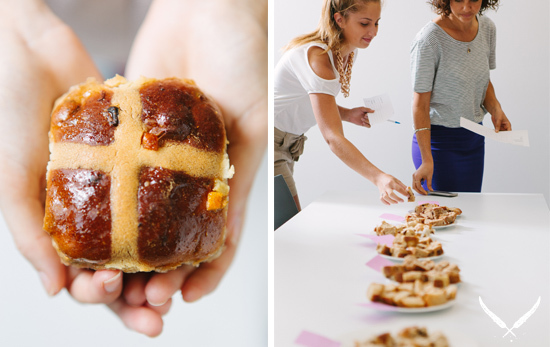 On yet another ridiculously hard day at The Urban List office, we conducted our Third Annual Hot Cross Bun-Off, where we pit Brisbane's best hot cross buns against each other in a blind bun tasting. It was bakery vs bakery, bun vs bun, and yes, it was tense, and yes, we may have taken it too seriously. 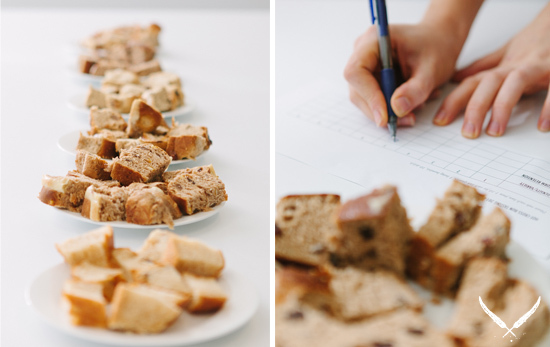 Our top 6 buns were chosen from the plethora of stunning hot cross bun options in Brisbane. 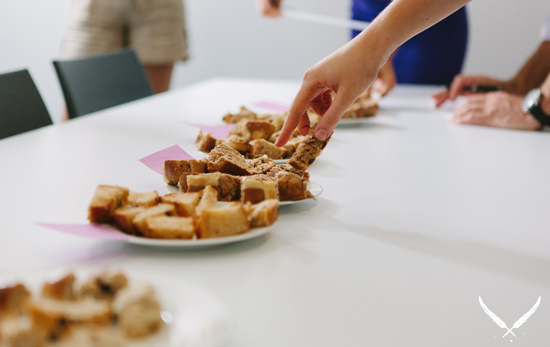 To make our short-list we asked for your advice, though it should be noted that some of your — and our — favourites (like last year's winners, Banneton Bakery) only bake their buns on the weekend, or haven't started baking for Easter yet. Sad face. The buns we tasted came from all corners of Brisbane. The Baker's Arms (made with spelt flour), Supa Bakery, Chouquette (a hot cross bun/brioche hybrid), Chester Street Bakery and Bar, Jocelyn's Provisions, and Flour & Chocolate. As a control bun, we also tasted a Woolworth's variety. But first, a nerdy history lesson on the hot crossie! Eating spiced buns on Good Friday is a tradition that can be traced back to Tudor times! Fun! The first 'cross' that appeared on buns was sliced on with a knife, rather than piped on. 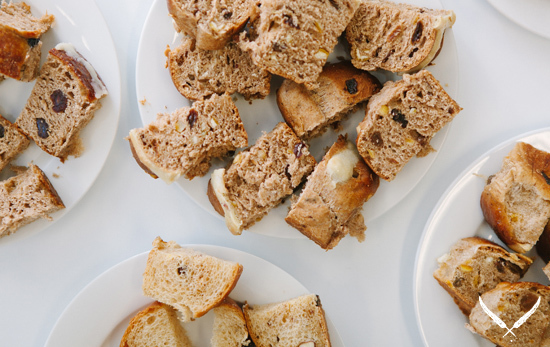 Another fun fact: Hot cross buns used to just be called "cross buns" (those cray-zy Tudors). The 'hot' prefix came about in the nineteenth century, probably because these little yeasty babies are often served straight from the oven. Ok, it's the moment you've been waiting for… the winner of this year's Urban List Hot Cross Bun-Off is...JOCELYN'S PROVISIONS. Our team couldn't get enough of these, slightly dark, spicy buns. Laden with fruit, these buns aren't for the faint of heart, but their hot-cross-bunny aroma and moist texture ultimately won us over. Props to Flour & Chocolate and Chester Street Bakery and Bar who took out second and third place respectively. And big thanks to all our bakery contenders! Hm, I wonder who does Brisbane's best donut? Stay tuned!